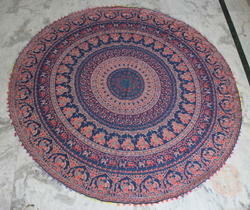 Traditional bohemian hippie mandala tapestry with twin size 60x90 Inch approx. Product Description Handmade hand stitched nepali art item Size: 40x60 inches Material: Due to handmade nature the fabric and patterns may vary. Color: Multicoloured Technique: Patchwork. Ships worldwide from India Exquisite mesmerising handmade wall hanging from Rajasthan, India incorporating patches from recycled fabrics. 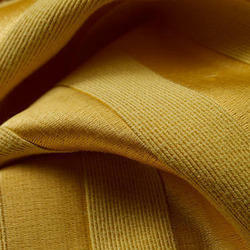 We offer Tapestry Fabric that is made using quality assured synthetic, cotton or blended fabrics. Being smooth in texture, these are widely used as home textile fabric for the manufacturing of curtains, bed-covers, bed sheets, cushions. Moreover, these are available in variety of textures, colors and designs including plains, checks and printed. With our expertise and trustworthiness, we are engaged in offering an optimum quality range of Wall Tapestry. Beautifully interweaved from silk and cotton threads, it is another quasi-divine example of designer's craft's layer handicraft technique A product of Designer's Craft. Being a leading firm in this industry, we are deeply engaged in offering a high-quality range of Indian Printed Tapestry.